While I rarely feature modern design here at ArchitectDesign that does not mean I don't have an appreciation for the style. Rather I think as in anything, quality matters, and so much of what you see that passes as 'modern' is just poor and lazy design. However there are modern architects whose work makes my heart swoon: one of these is mid-century LA architect Craig Ellwood. Ellwood took the formal modernism of Mies van der Rohe (another architect I greatly admire) and added some California casualness. 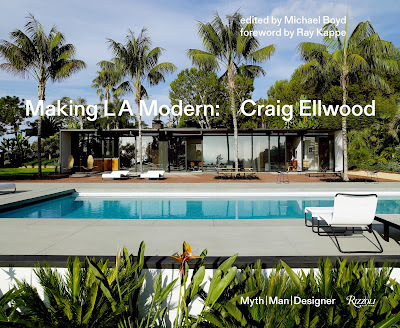 Next month (April 2018) Rizzoli is releasing a new book on this modern master entitled Making L.A. Modern: Craig Ellwood - Myth - Man - Designer by Michael Boyd with stunning photography by Richard Powers seen here in this post. Modernism is rooted in details and that is what so often breaks a design for me. These houses built by Ellwood in the 50s and 60s have all of the warmth of more traditional architecture and all of the detailing of grand classical architecture; you want to spend time in these spaces. Ellwood was a great self-promoter; had he been practicing today I'm sure he would be an instagram darling. He was larger than life and no book about him would be complete without the juicy details! I think we all have a few things to learn from this purist perfectionist and luckily this book can help! 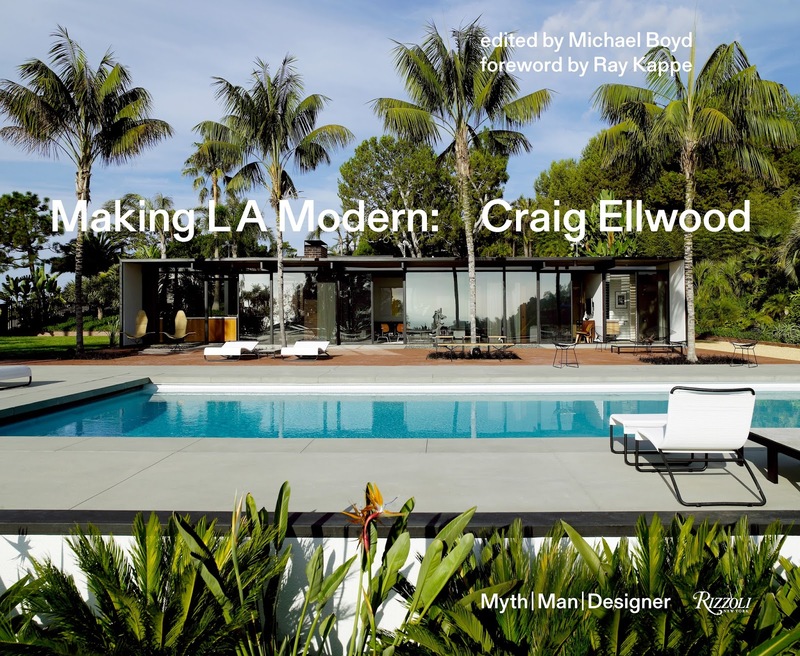 All photography by Richard Powers - Making L.A. Modern: Craig Ellwood was edited by Michael Boyd, Rizzoli New Yori, 2018. Images may not be reproduced in any way, published, or transmitted digitally, without written permission from the publisher.